For the third time in a decade fund managers surveyed by Bank of America Merrill Lynch (BAML) believe that gold is undervalued. After the last two occasions the price of gold shot up. The Bank of America Merrill Lynch Fund Managers survey spoke to 175 money managers with $543 billion in assets under management. It provides key indicators each month of those who run and manage the world’s investments. The news that they are buying gold and believe it is undervalued, is worth paying attention to. As we often mention the status quo amongst money managers is for them to be bearish about gold, regardless of the price and state of the global economy. But this month, a majority of those surveyed (by a net margin of 15%) believe that gold is a buy, something that hasn’t been seen since January 2009 and January 2015. But why are they only interested now, what has them running for gold and what does this mean for gold investors? The interest in gold comes from two parts. Firstly the clear risks on the horizon. Namely stagflation, inflation and protectionism. As well as rising interest rates and potential conflict (trade and otherwise) around the world. The second part is our increasingly familiar friend, uncertainty. In the BAML survey, fund managers are optimistic about the macro outlook, with 23% saying they expect a “boom” compared to 1% one year ago but when it comes to the fundamentals things don’t look so good, with 43% saying they expect “secular stagnation”. 36% said European elections raising disintegration risk were the biggest tail risk closely followed by a trade war (3%) and a crash in global bond markets (13%). The most likely bear market catalyst according to 34% of respondents was protectionism, followed by higher rates (28%) and a financial event (18%). So whilst things might be looking rosy at the moment, the future is making investors’ nervous. It is the uncertainty surrounding these potential events, not knowing what specifically they will be, what they will impact and when they might happen that adds to list of unknown uknowns that we were talking about earlier this week. Staying too positive about Trump’s impact on the US and wider economy has lead some to issue warnings. Michael Hartnett the chief investment strategist at BAML and his team wrote of the Icarus trade, earlier this year. “Our tactical view: after a Jan/Feb wobble, we believe stocks & commodities will have one last 10% melt-up in H1. Call it the ‘Icarus trade.’ The current melt up, which started back in Feb 2016, will be followed by a meltdown later in ‘17,” they wrote. For those who need reminding Icarus was the son of Daedalus. When his father made him some wings held together by wax he was warned not to fly too close the sun, but Icarus ignored his father’s warnings and did just that. His wings melted and he plunged back to earth. The decision by fund managers to go long gold is a reflection of this Icarus trade. These investors are buying gold as a form of insurance. In the same way that we should have insurance for our homes or cars but we just cannot predict the future, investors are now appreciating gold will do well when financial and political upheaval unexpectedly take a turn for the worst. However, this is a short-term perspective and many are saying that these fund managers are not looking at gold in the long-term, playing a crucial role in their portfolios. The news that fund managers are getting into gold should really come as no surprise, we have brought you multiple stories of wealthy investors, fund managers and family offices diversifying into gold. In June 2016, gold accounted for 8% of the £2.8 billion portfolio managed by Rothschild’s investment house RIT Capital Partners. 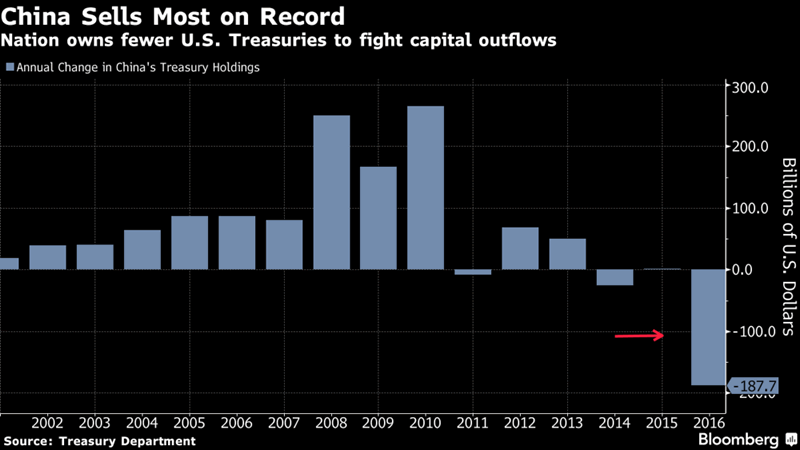 More recently we reported on Stanley Druckenmiller buying gold in late December and January, having sold on the night of the election claiming that “all the reasons I owned it for the last couple of years seem to be ending”. And just this week we brought an interview with Jim Rogers to you in which he warned investors to “Get prepared” as “we’re going ‘to have the worst economic problems we’ve had in your lifetime or my lifetime’. With this in mind he is holding onto gold and silver and is accumulating bullion on dips, looking to ‘own more’. 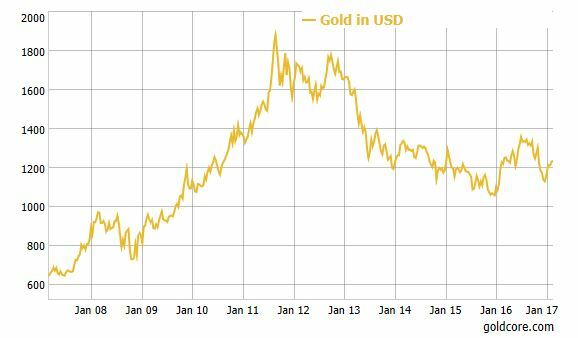 Despite the apparent support of some investment managers this is seen as very much short-term and gold is still not seen as a conventional investment. Coverage of this most recent BAML survey has picked up on this rekindled love for gold and generally writes that the metal is being bought as an insurance policy, as opposed to a key investment ‘mainstay’. This idea suggests that there are times when it isn’t necessary to have gold in your portfolio. The approach of the fund managers seems a funny way to look at things when you consider the long-term appeal and strength of the gold price. In the short-term the price does well during periods of declining confidence, as we are seeing now but in the long-term having an allocation to gold to gold in your portfolio has been shown to benefit the long-term performance, as we have written about in our investment guides. These money managers who are now investing in gold as a sort-of short term insurance are certainty looking at things from a narrow focused perspective. This is something that Doug Kass drew our attention to earlier this year. Few assets seem to generate as much controversy as gold when it comes to mainstream investors and the media. Many like to point to Warren Buffet who argues that we just dig it out of the ground in order to store it in another hole in the ground. Critics like to argue that it offers no yield, no dividend, and is difficult to value according to modern financial theory. Yet, interest in what is happening with the gold price and who is buying gold will always be covered by the mainstream. There is in an innate fascination with gold, but the majority only turn to it when it seems there is an obvious reason for it to climb. The reason gold has survived so many years and performed so well is because there is no such thing as an intrinsic value calculation – too many elements feed into the gold price, and most of them are unknown until they occur. Hence why it performs so well during times of uncertainty. Gold is money. It is a borderless currency that cannot be inflated, devalued or controlled by central bankers and politicians. Contrast that to the likes of the US dollar (and indeed the euro or sterling) which can fall victim to all of those things, and given Trump’s comments on the strong dollar, perhaps more than we have ever seen before. Gold is undervalued at present and will no doubt benefit from the bullishness of these money managers. However it is not just undervalued and worth buying because people fail to appreciate the impact of protectionism, stagflation and inflation. 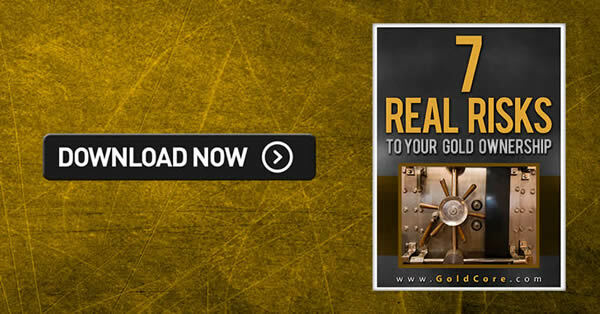 It is undervalued for many reasons, the main one is the lack of understanding of gold as a proven safe haven asset and of how well it performs during times of uncertainty.